Presenter C: John Kiely – Coordination – the most important athletic capacity? 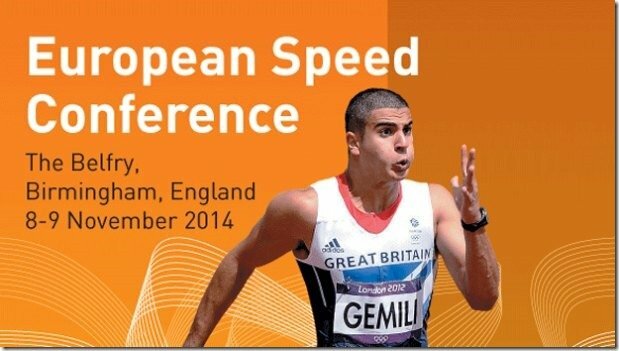 Presenter D: Steve Fudge – How much Speed, How much strength for sprinters? Presenter F: Alan St Clair-Gibson – Is CNS Fatigue fact or fiction? Presenter G: Dr. Kirsten Albracht – Tendons – Achilles heel of the speed athlete? Presenter A: Loren Seagrave – 400m, speed or endurance? Presenter D: Benke Blomkvist – Where does hurdling rhythm fit in a training year? Presenter F: Prof Alan St Clair Gibson – Is Central Nervous Fatigue in speed athletes fact or fiction? 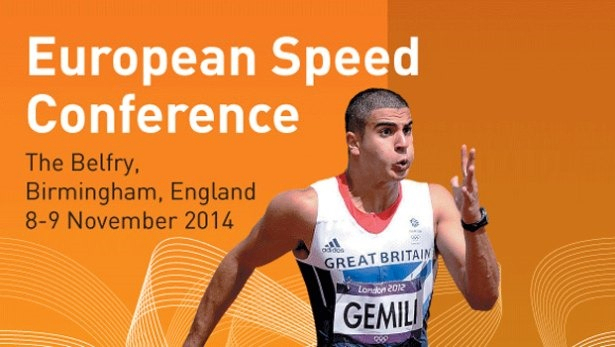 Presenter I: Steve Fudge – How much Speed, How much strength for sprinters? Per is Professor in Experimental and Theoretical Biomechanics at the Institute of Sport and Clinical Biomechanics, University of Southern Denmark where he is also Head of the Research Unit “Muscle physiology and Biomechanics”. He is recognised and respected as a world leading researcher in neuromuscular responses to training and has large numbers of research papers in Journals around the world. He has a degree in Mathematics, an MSc in Physiology and a PhD in Neurophysiology from Copenhagen University and was previously Professor of Biomechanics at University of Southern Denmark and visiting Professor in the Department of Integrative Biology at the University of California (Berkley). His areas of interest include neuromuscular plasticity and adaptations in neural function, muscle structure, muscle tendon architecture and biomechanical responses to training and detraining. 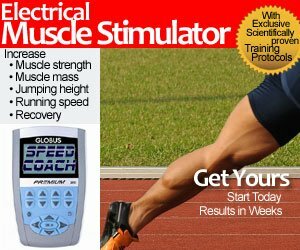 His research has specifically addressed the influence of physiological and biomechanical factors upon muscle function (eccentric and concentric contraction force production, rate of force production and power), muscle architecture, tendon and aponeurosis function and muscular work efficiency. Malcolm is currently a senior coach working for British Athletics and formerly worked as National Event Coach for Hurdles. He has attended every Olympic Games since Mexico City in 1968 as a coach to national teams and has coached athletes to more than 65 major medals over a 44 year career. Malcolm was Director of Coaching for Uganda between 1968 and 1972 and during this period coached John Akii-Bua to Olympic Gold in a World Record time in 1972. Since 1974 he has worked in various national coach roles including being Director of Coaching and Development between 1994 and 1997. Since 1998 he has coached at the University of Bath and coached athletes at Commonwealth, European, World and Olympic level. Athletes that he has coached have included Colin Jackson, Dai Green, Jack Green, Andrew Pozzi, Craig Pickering, Lawrence Clarke and Eilidh Child. Benke is the former long-term coach of women’s 60m Hurdles World Record holder Susanna Kallur. In 2008 he spent a short period as a UKA sprints and hurdles coach in Wales where he was responsible for revitalising the careers of William Sharman and World 400m Hurdles Champion Dai Greene – who has since gone on to experience great success with another conference speaker Malcolm Arnold. As an athlete, Clarence won a silver medal at the Seoul 1988 Olympics in the 4x100m relay. Now an established and respected coach, Clarence is Head Coach at Track Academy, working with the elite squad. He is also National Coach Mentor for Sprints for England Athletics. Lloyd is best known for coaching double World Gold medalist and Olympic Champion Christine Ohuruogu and 2013 World Championship Bronze medalist, 2010 European Champion and 2010 Commonwealth Champion Andy Turner. Lloyd currently works for British Athletics as a Coach for Sprints and Hurdles. Alan ‘Zig’ is now Head of the School of Medicine at the University of the Free State, Bloemfontein, South Africa. He left his position as Head of the Department of Sport Exercise and Rehabilitation earlier this year before which he was Director of Research in the Department of Sport and Exercise Sciences at Northumbria University and Associate Professor (Human Biology) at the University of Cape Town, South Africa. He graduated from the University of Cape Town with an MBChB in 1990, a PhD in 1997; and an MD in 2002; and has previously been a Research Fellow at the Human Motor Control Unit, National Institute of Neurological Disorders and Stroke, National Institutes of Health in Washington DC, USA, in 2002-2003. He is currently a Chair in Integrative Neuroscience and his main research interests include the physiological and psychological mechanisms which regulate human function and activity, the conscious perception of these control mechanisms, the psychopathology of excessive activity, basic brain function and behavioural bio-ethics. READ What is your Favorite NCAA Track and Field Moment? A former UK Athletics Apprentice Coach for sprints, Steve is now enjoying huge success as a Performance Sprints Coach for British Athletics. Steve is currently based at the High Performance Athletics Centre in Loughborough, and his current crop of athletes include Paralympic and IPC Athletics World and European 100m Champion Jonny Peacock, European 100m Champion James Dasaolu and European 200m Champion Adam Gemili. British Athletics’ Event Group Lead for Sprints, Tony is hugely experienced and a former National Coach Mentor for England Athletics. He was previously Chair of the Event Management Group for Sprints and Hurdles. He has coached world class sprinters including Derek Redmond, Duaine Ladejo and Phil Brown. His current crop of athletes includes 2014 European Silver medallist over 400m, Matthew Hudson-Smith. John studied at Limerick University (Sport & Exercise Science) and Edinburgh University (MSc Strength & Conditioning). He is now Senior Lecturer in Elite Performance at the Institute of Coaching and Performance, University of Central Lancashire where he manages one of the first Professional Doctorate programmes in the UK and is studying for his PhD in ‘Understanding and Optimising athletic coordination’. He has been a competitor himself winning the Irish ,‘North-Atlantic’,& ‘World’ Kickboxing Light-heavyweight titles and the Irish heavyweight boxing title on two occasions. John was Head of Strength & Conditioning at UKA where he also consulted as a conditioning and sports science specialist. He has personally coached both able bodied and Paralympic track and field athletes and was a specialist power coach in rowing and rugby amongst other sports. He has written widely on neuroscience, movement, stress and performance and his highly respected for his critical thinking and problem solving. Loren has won four NCAA Track and Field national championships at Louisiana State University and has worked with over fifty Olympic and World Championship medalists, National and World record holders, and Collegiate All-Americans. Amongst his charges have been Donovan Bailey, Andre Cason, Dawn Sowell, Sheila Echols, and Gwen Torrence. Loren’s coaching experience includes other sports such as football, baseball, soccer, basketball, and ice hockey. Since 1998 he has as a speed and conditioning coach with the Atlanta Falcons, and has consulted regularly with the Detroit Lions, Jacksonville Jaguars, and other NFL teams. READ Why are Athletes Wearing Duct Tape? Another former UK Athletics Apprentice Sprints coach (along with Steve Fudge), Jonas began his coaching career working in rugby. As an Apprentice Coach, Jonas worked alongside Dan Pfaff in the build up to the 2012 Olympics and Paralympics, working with athletes such as Greg Rutherford and Jonny Peacock. Following Dan’s return to the USA, Jonas is now Greg’s lead coach, and also includes sub 10s 100m man Chijindu Ujah in his group of athletes. Jonas has a BSc in Coaching and Conditioning and MSc in Coaching Science. His thesis for his MSc was written on Elite Training Systems used within High Performance Sports, namely athletics. His coaching methodology aims to identify contributory factors to barriers to performance and then establish an approach for working to overcome them. Ben Rosenblatt is the Senior Rehabilitation Scientist at the Intensive Rehabilitation Unit of the British Olympic Medical Institute and English Institute of Sport. The role of the IRU is to accelerate the rehabilitation of injured Olympic athletes. Ben is responsible for providing strength and conditioning coaching to injured Olympic athletes, providing objective evidence to support the process of clinical reasoning and developing innovative solutions to rehabilitation problems. Ben is currently completing his PhD in biomechanics and S&C (Cardiff School of Sport), coaches several members of the British Olympic Judo team and is an honorary lecturer at University College London. Previously Ben led the Sports Science and Fitness department at Birmingham City FC, worked as an S&C coach at the Olympic Medical Institute and has worked in college and university sport in the USA and UK.